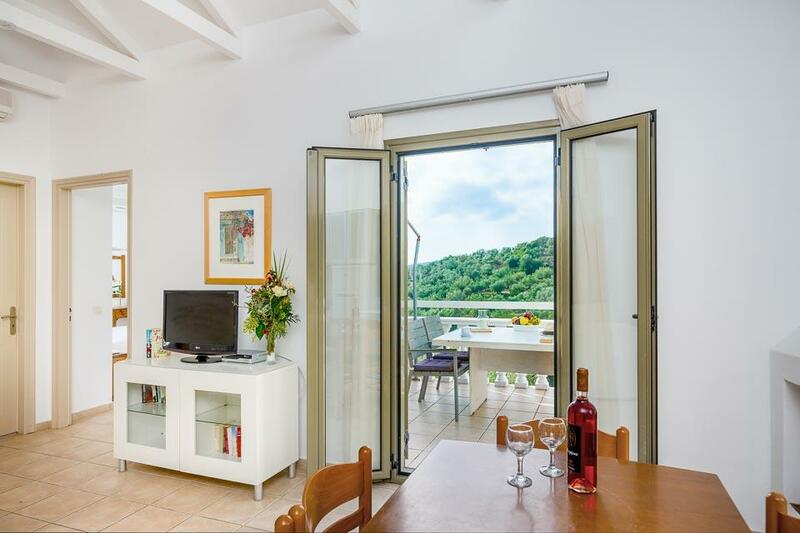 Villa Arbutus is situated in a peaceful and very beautiful country location just above the coast at Gialova. 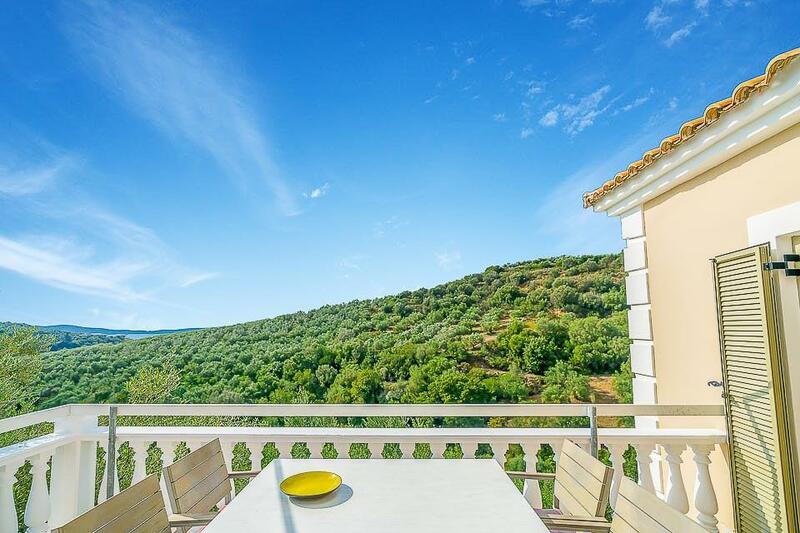 Situated in a peaceful and very beautiful country location just above the coast at Gialova with sweeping hillside views and glimpses of the Bay of Navarino, is Villa Arbutus. 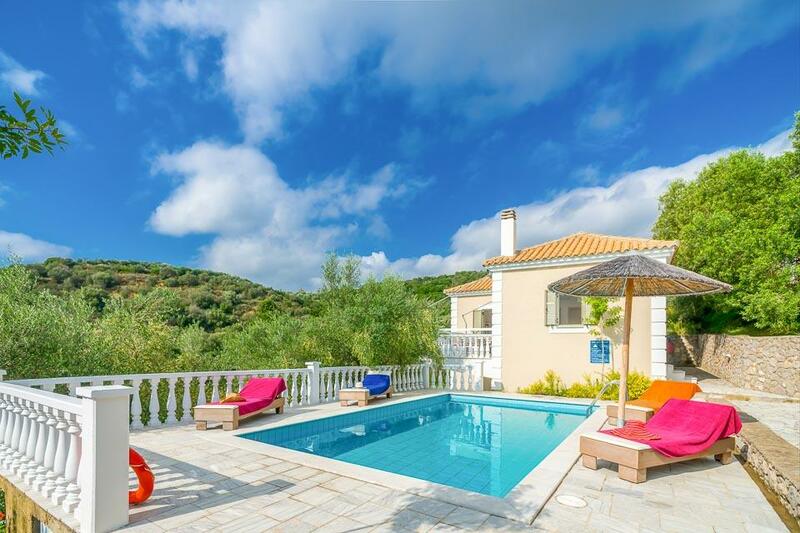 One of three independent villas in this location Villa Arbutus is a perfect base for those who prefer a secluded villa and wish to totally unwind whilst being just 5 minutes drive down to the resort and beach. 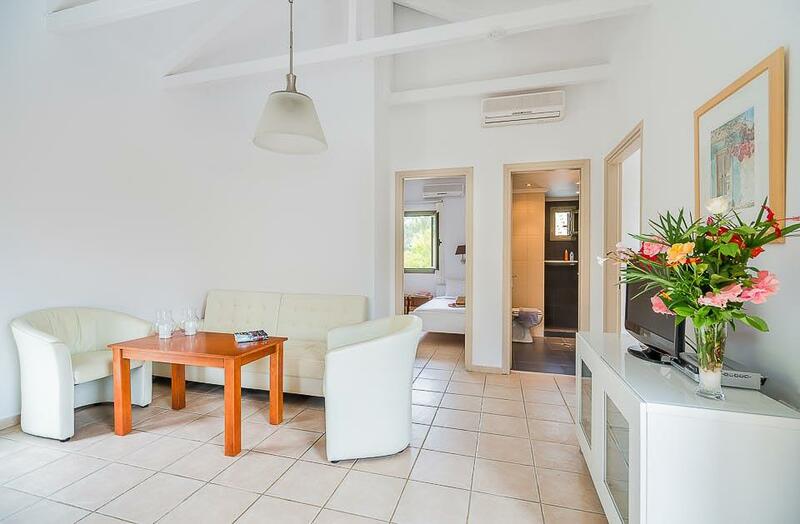 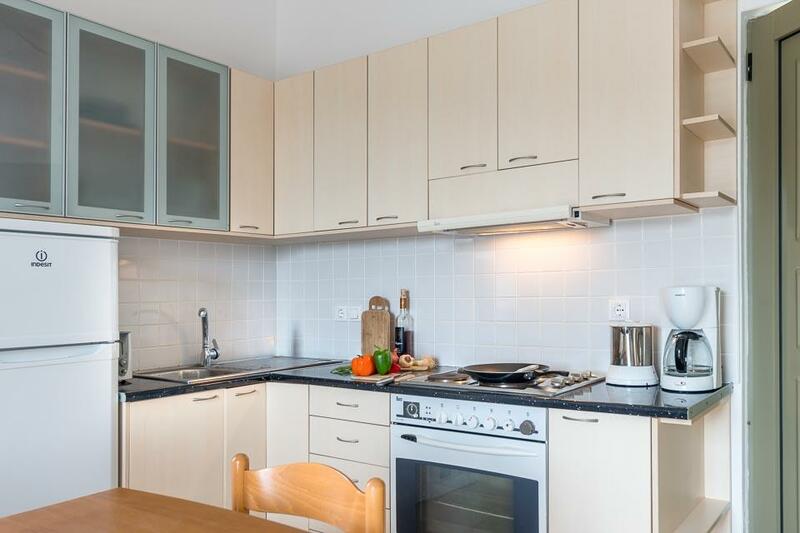 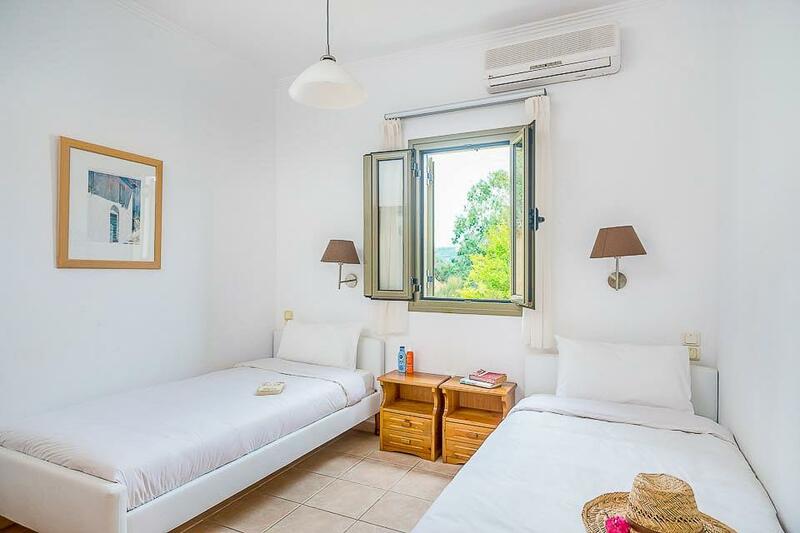 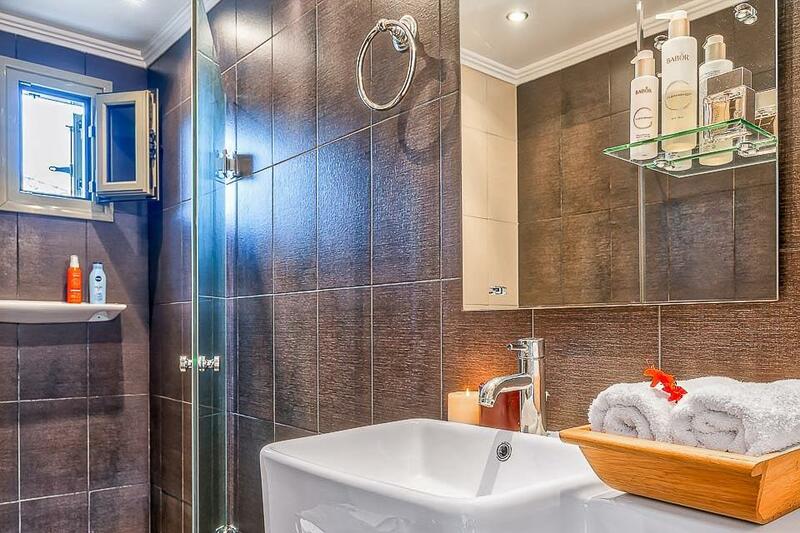 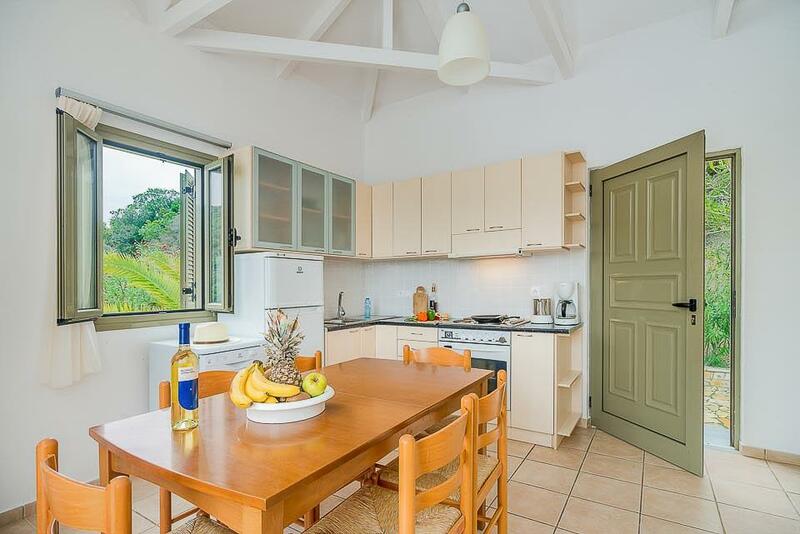 Simple yet comfortable and charming, Villa Arbutus is perfect for couples or a small family, and offers everything you need for a perfect self catering break with your own pool in an idyllic setting. 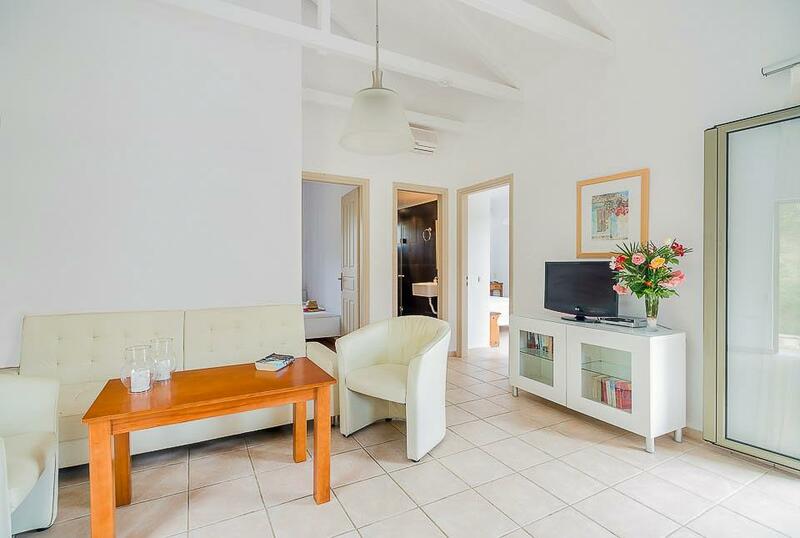 The accommodation is all on the upper level of the property but there are only a few steps up to the main entrance from the parking area. 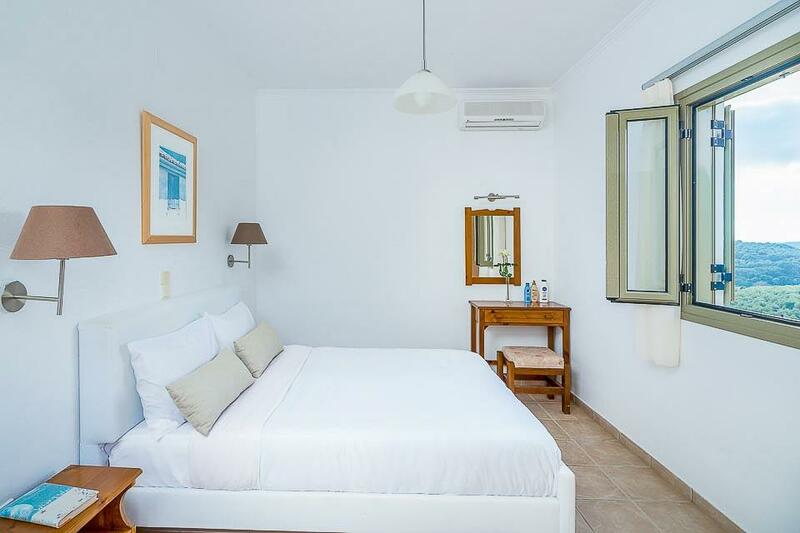 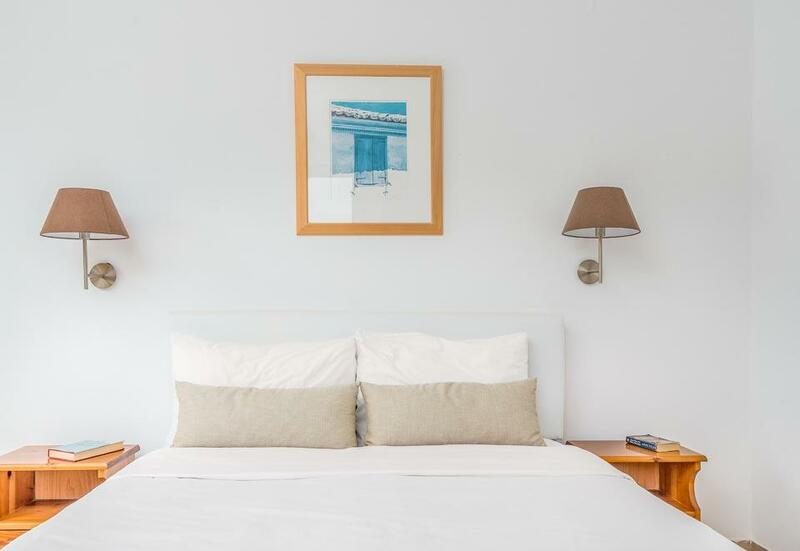 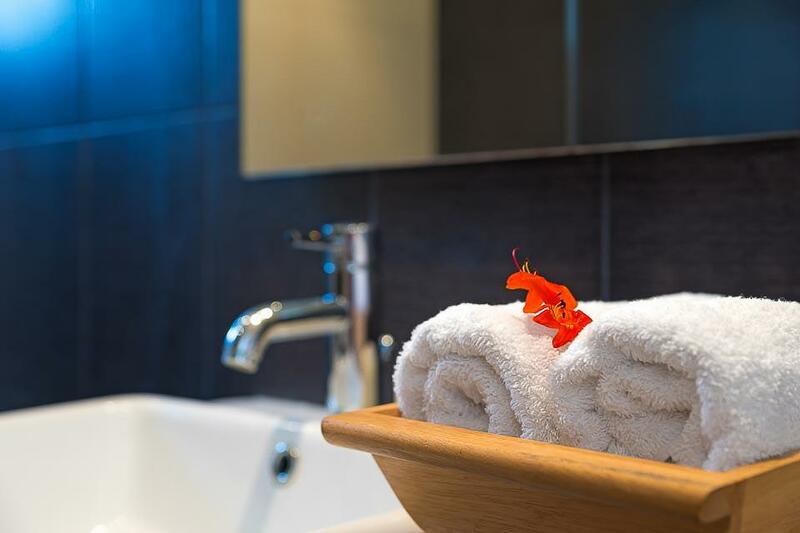 *Please note that the Villa Arbutus is one of several properties that are all of a similar layout but may vary in furnishings, and we cannot guarantee to which villa you will be assigned. 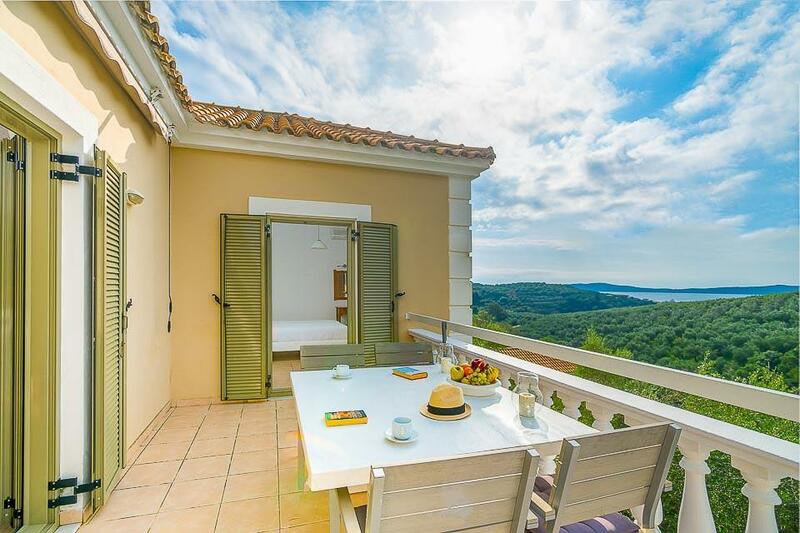 For such a quaint little village, Gialova is simply bursting with superlatives. 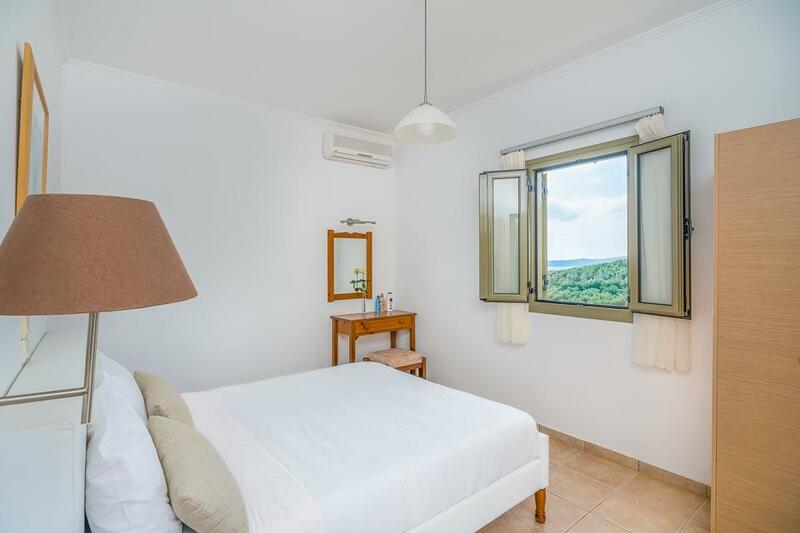 A fabulous sandy beach, astonishingly beautiful sea views over towards the neighbouring town of Pylos, amazing restaurants serving fresh seafood, traditional Greek dishes..